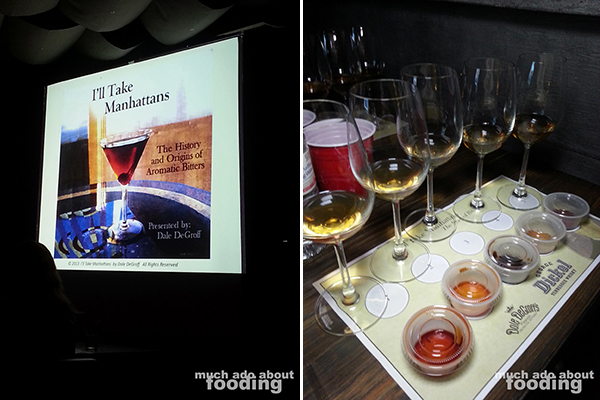 It is rare to be in the presence of renowned culinary professionals who have made significant impact on the food and beverage world but on one chilly December night, I was privy to a special seminar on bitters taught by King Cocktail himself - Dale DeGroff. 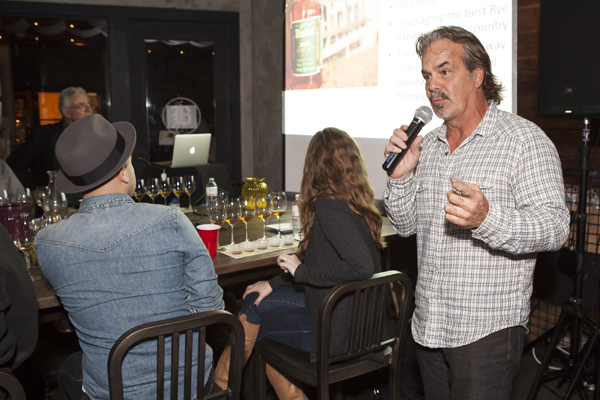 Hosted at Bosscat Kitchen and Libations in Newport Beach, the bitters seminar was conducted by George Dickel Tennessee Whisky whose rye whisky served as the base for the educational session. The outdoor patio area was full of professional bartenders, budding bartenders, mixology enthusiasts, and whisky appreciators that evening as we learned how to influence the taste of a spirit (specifically Manhattans) with just a change in bitters. 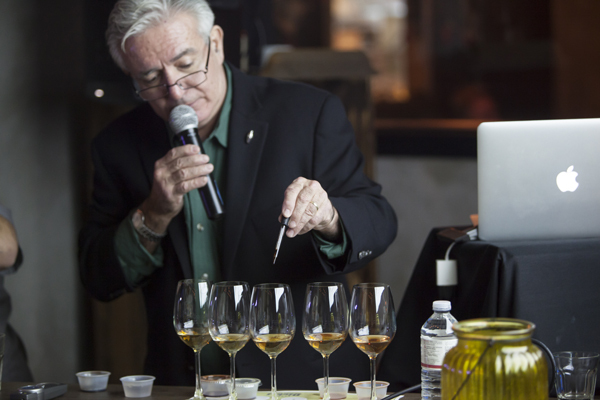 If you have not heard of Dale DeGroff before, perhaps you should know that in 2009, he was awarded the James Beard Foundation Outstanding Wine & Spirits Professional Award for being such an important impact on the entire industry. 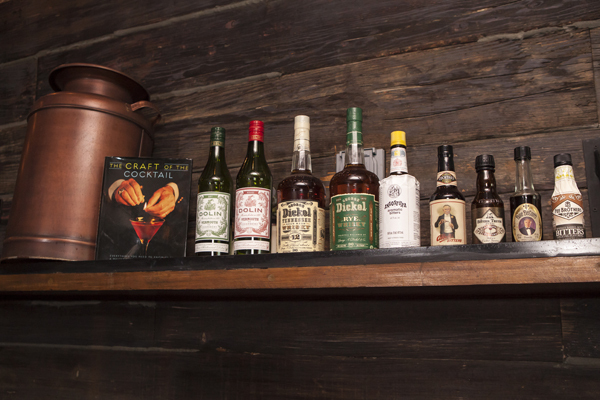 As a pioneer for the revival and even reinvention of classic cocktails, DeGroff has had his hands in many of today's cocktail standards. This man knows his stuff. That became greatly apparent once the seminar begun. Titled "I'll Take Manhattans: The History and Origins of Aromatic Bitters," the educational session extensively covered what bitters were, how they came to be, and what they were made of. In fact, what I did not know was that a dash of aromatic bitters being added to a drink is what turned a regular drink to a cocktail, by historic definition. It was this small shift that has led to the whole playing field as it is today of cocktails. 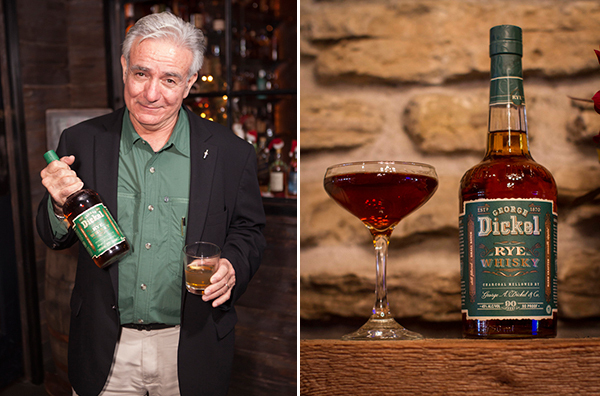 The night ended with some prizes being given out to attendees who were actively posting on social media, and everyone walked away from the insightful seminar with his/her own bottle of George Dickel Rye Whisky. Bosscat Kitchen also served an overwhelming amount of shared appetizers for the group to buffer against the multiple Manhattans we had all just made. If you are curious about attending a spirits seminar with King Cocktail himself, there are murmurs of more similar events in the OC area in 2015 so keep your eyes and ears open. I will update as I hear more! Photography by Minerva Thai unless otherwise noted. More photos available on Facebook here.